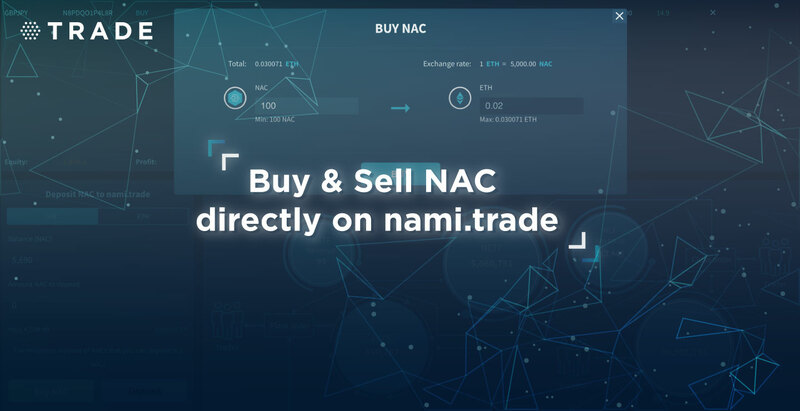 In order to support traders in liquidating NAC, Nami team has integrated the function which allows to buy/sell NAC more smoothly and efficiently on nami.trade trading platform. For more details on how to buy/sell NAC on nami.trade, please, visit the following website. For MetaMask installation guideline, click here. Visit http://nami.trade right now to experience a faster and cheaper trading than ever before! At Nami, every single effort is being made to improve user experience. As for you, our dear contributors, we will keep updating you on the latest news or any changes made in our next release. Stay tuned!